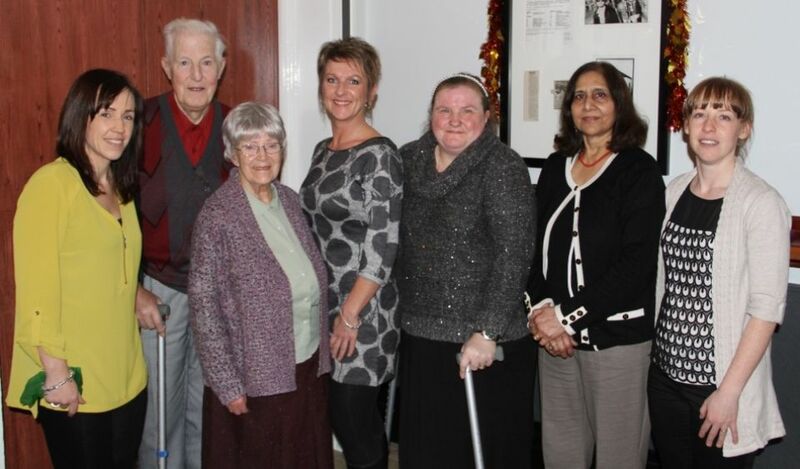 The event at King George’s Hall on Thursday, December 11, brought together all those people who have accessed the Council’s exercise referral programme – just one of a wide range of services available via the Wellbeing Service to support the health and wellbeing of Blackburn with Darwen residents. Exercise referral is available for people who have any health or medical problems and would benefit from improving their lifestyle via structured exercise sessions and healthy eating advice. Two people from Blackburn who’ve accessed falls prevention classes via the Wellbeing Service are James Warner, 83, and Hilda Salter, 87, both from Blackburn. James started attending the classes after having five falls inside his home and on his driveway and being unable to get up. He was assessed at home and referred into the classes at the United Reform Church at Four Lane Ends, Blackburn and St Gabriel’s Church, Blackburn which he started attending around 12 months ago. Hilda accessed the same class via the Wellbeing Service around a year and a half ago via GP referral after experiencing some stiffness in her joints. She’s under no illusions as to how vital it is for keeping her independence. Also present at the lunch were two people who’ve accessed Aqua Stride classes. The pool based classes at Waves in Blackburn and Darwen Leisure Centre support people to do functional exercises with the aim of improving mobility, balance and posture. They help to increase confidence in the water and are especially useful for those with muscular problems, arthritis and joint pain due to the extra protection exercising in water provides. Katheryn Ashburn, 50, from Great Harwood also attends the aqua stride classes at Darwen Leisure Centre after suffering from bad arthritis in her knee. Due to her age doctors wouldn’t operate and so she was referred to the Wellbeing Service to get help to start exercising. A s well as help with exercise, the Wellbeing Service also provides advice, guidance or practical support for things like stopping smoking, drinking less. But it’s not just about healthy lifestyle services; the service includes support for issues such as housing, employment and money because these problems can affect emotional and physical health just as much. To access the help available, people just need to be over 16 and live, work or have a GP in Blackburn with Darwen.